This year I was accepted into Google Summer of Code program with BuilmLearn. For those who don’t, last year also I worked with BuildmLearn on an Android App named Learn From Map. Back then my mentor was Neha Dhanwani. For this year my project was to port the famous BuildmLearn toolkit to Android. I worked under the mentorship of Pankaj. So what is Google Summer of Code? If you have no idea, you can go to this link. GSoC is a sort of an internship paid by google in which you code for three months for a non-profit and open source project. GSoC is very competitive and only around 1000 students are selected from 5000’s that applies. And all the students from fresher to Ph.D. are eligible for it. This year I applied for two projects, one with BuildmLearn and other with FOSSASIA. I was chosen for both the project and I was asked by both the organisations to accept a project of my preference. 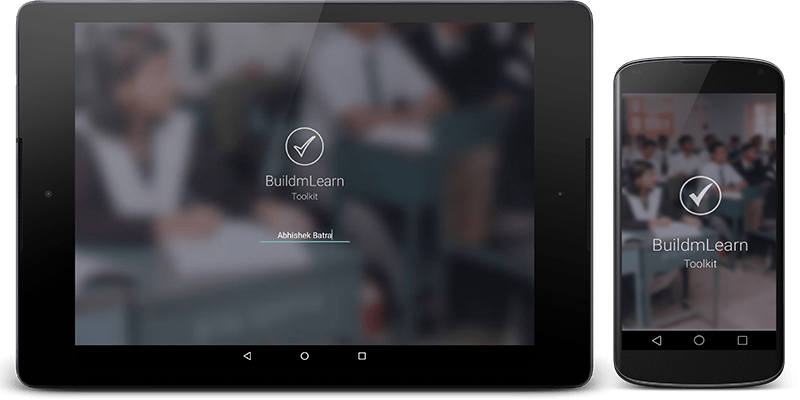 I never thought that I will be selected for both the projects, but i had already set my preference with BuildmLearn Toolkit, as the project had a better scope of learning and challenges. So when I was approached by the organisations, I decided to go with BuildmLearn. I provided a detailed timeline in my GSoC proposal. I started of with developing UI for toolkit. These were some the initial UI designs, but latter a lot of things were changed, archived and newly created. If you checkout the Toolkit App, you will see a lot better and soothing designs and colour schemes. The next step was deciding on how to develop tookit framework. 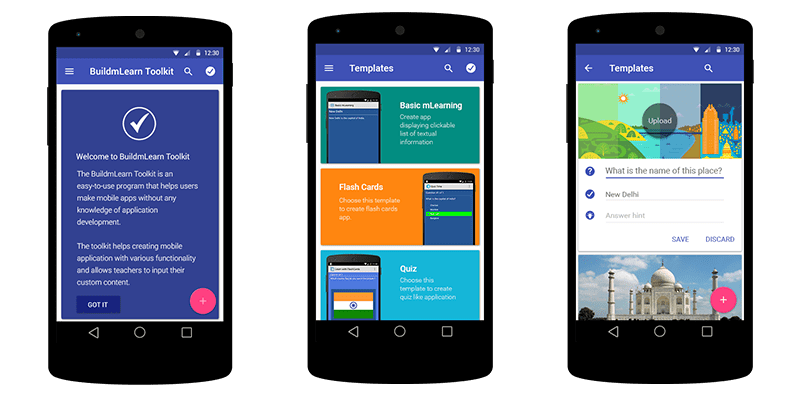 Our goal was to make the toolkit highly customisable so that we can add new mLearning templates in the future without writing much code (Y). Me and my mentor Pankaj spent about 10-12 on this and later we finalize with a plugin architecture. 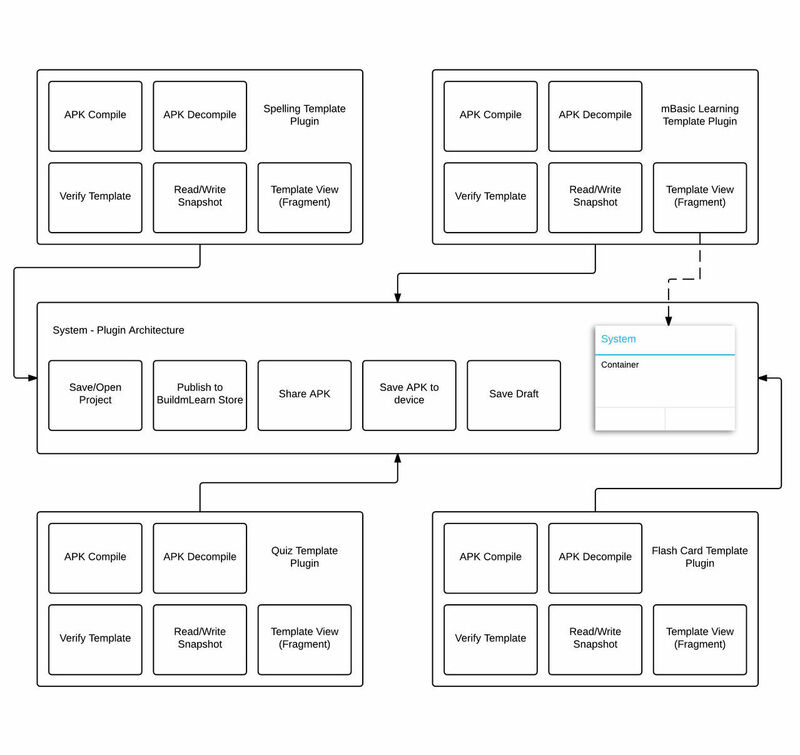 I have created this term “Plugin Architecture”, something similar must be there. If you are really geeky and interested on this, This is how it works. 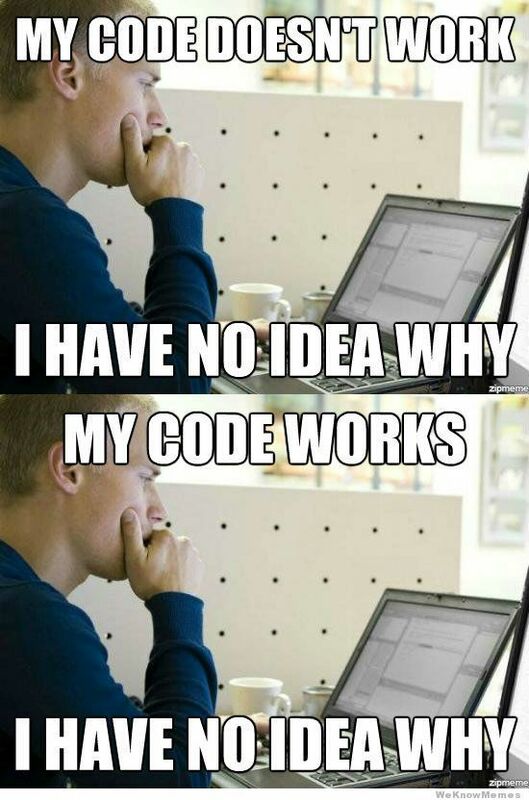 After this, I started with writing code. And believe me this was my condition all the time. But my experience with GSoC’14 helped me a lot. I am able to minify app crashes, less buggy app and better testing. During GSoC’14 I used to get daily mails from my then mentor Neha, listing a lot of bugs and crashes. And I really thank her for this. Only because of her I was able to focus more on development. But this year there were very few bugs, and development and testing was very efficient. Still some bugs are very difficult to reproduce (like OutOfMemoryException in Java), So i integrated Crashlytics into my app. Crashlytics pin points the line where the code crashed and provides a detailed log. I faced a few challenges during development but Pankaj (my Mentor), StackOverflow ( 😛 ) helped me to find the solution. This entry was posted in mLearning, Open Source, Summer of Code and tagged Google Summer of Code, GSoC 2015, Open source, Student. Bookmark the permalink.